A six storey building comprising 8no. 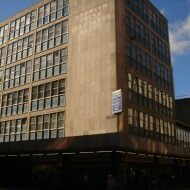 ground floor commercial units and office accommodation above. 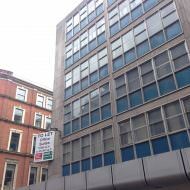 The buildings previously on this site before Norwich Union House were destroyed during the Belfast Blitz (April 1941). The Royal Society of Ulster Architects hosted ‘An Exhibition of Architecture’ on the vacant site between 29 May – 28 July 1951 as part of The Festival of Britain. The exhibition also coincided with Belfast hosting the Annual Congress of the Royal Institute of British Architects. 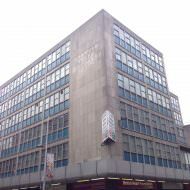 McLaughlin & Harvey began construction of Norwich Union House in 1961 and in 1962 the Norwich Union Insurance Group moved into the new building. 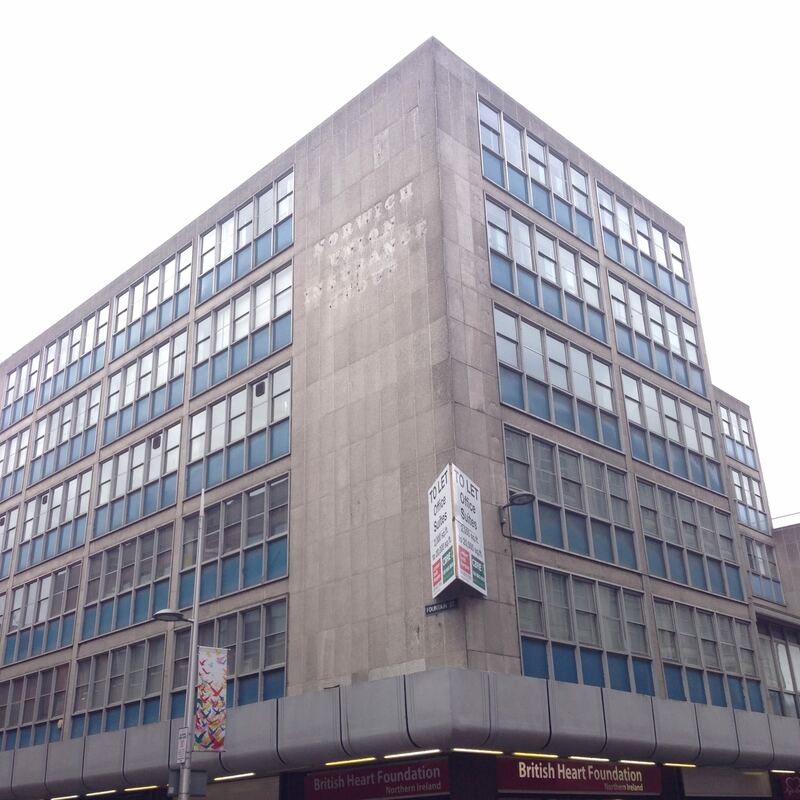 Deramore Property Group and Milligan Reside Larkin Architects submitted a planning application (Z/2006/2294/DCA) in October 2006 proposing to demolish the existing building and develop a new 7-storey office building. The application was withdrawn in June 2007. Deramore sold the building in April 2007 to Applecroft Investments. 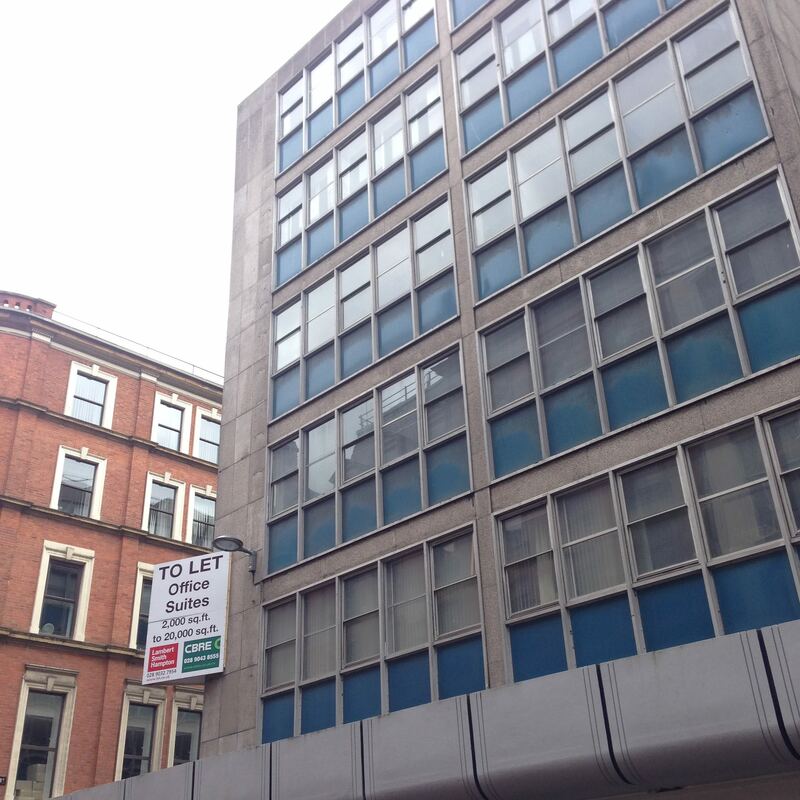 In February 2015 the building was placed into receivership by Cerberus (US investment fund that purchased loans from NAMA in 2014). 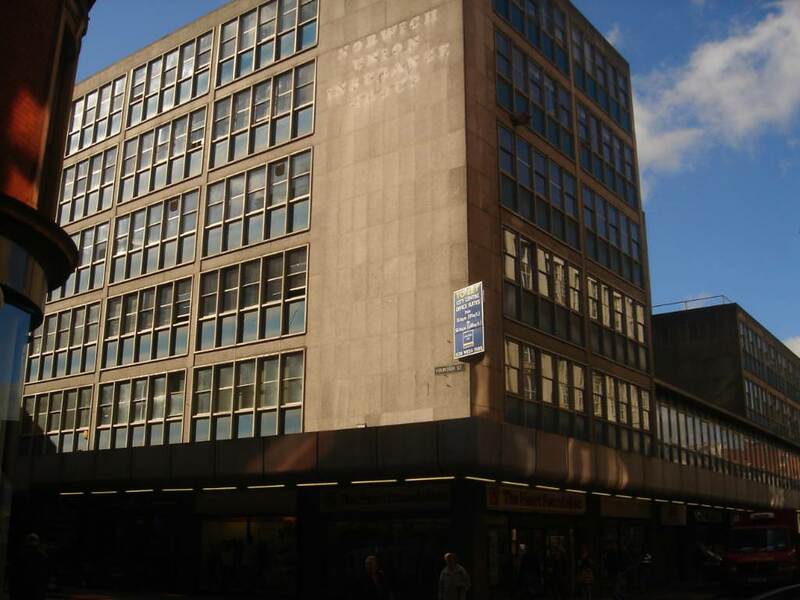 Norwich Union House was sold late 2015 along with a site at 6 – 8 Queen Street. 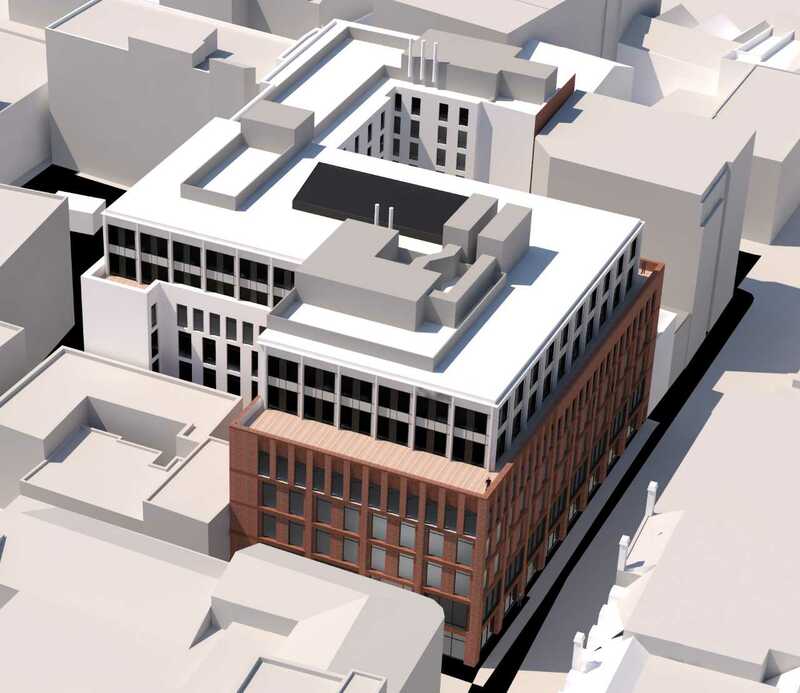 McAleer & Rushe propose a mixed-use redevelopment across the two sites comprising hotel, office and retail, with frontages on Fountain Street, Castle Street and Queen Street. 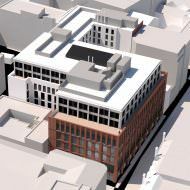 A pre-applicaton public information event will take place on Thursday 11th April, 1 – 7pm at The Linenhall Library. The event will provide details of a proposed mixed use development comprising 206,000ft2 (gross) of office accommodation, 180 bedroom hotel and retail and restaurant space. Further information can be obtained from Turley.